Everything has a price. Every action has a price and as we learn the hard way every non-action also has a price. We pass by a restaurant and decide not to buy lunch. We just saved money but we also must pay for this non-action. The price we pay is that later on we will be hungry, weak, perhaps cranky, and not able to perform our job effectively. The true price may be a bad performance and loss of income. As the rabbis say, our meager gain is negated by the loss. One who does not invest in himself will be the ultimate loser. It is an indisputable fact of life that everything has a price, measured not only in money but also in blood, sweat and tears. Equally true every non-action has a price, in the same currency. A missed opportunity can sometimes never be recovered. World War Two and the madness of the German leader could have been stopped early on at a relatively small cost, but the nations of the world were not willing to pay it. In the end they had to pay a much higher price to achieve that same result. Every non-action has a price. I travel the world teaching Krav Maga. Wherever I go I hear terrible stories of crime, violence, home invasions, and attacks on schools. And yet very few are willing to pay the price and learn Krav Maga. Not protecting yourself, your family and your community will eventually become a very costly task. I recently ended up in the emergency room while abroad, I did not take out travel insurance, now I must pay the price. But at least it is only money. Not paying the price for Krav Maga training may cost you more than just money. Remember, while it is true that everything has a price it is equally true that every non-action also has a price, and usually it is much higher. 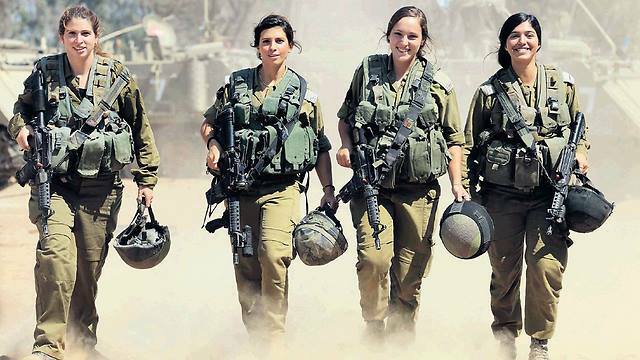 These young women pay a price, 2 years of their young lives to protect our country. The price we would all pay if they did not serve would be much greater. Two weeks that will change your life. Krav Maga Tour and Train Israel experience.